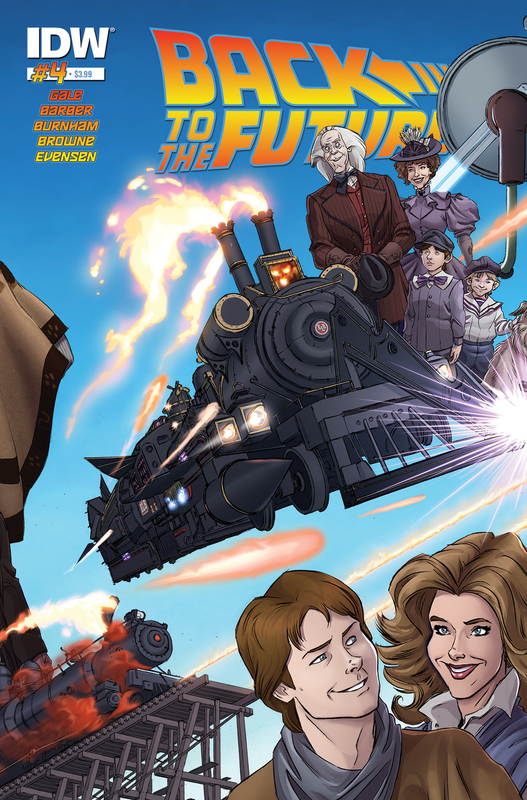 Now that IDW’s Back to the Future is an ongoing series (it was originally supposed to be a four issue mini), we’ve officially transitioned into the era after the movies. It’s not 1985 anymore, folks. 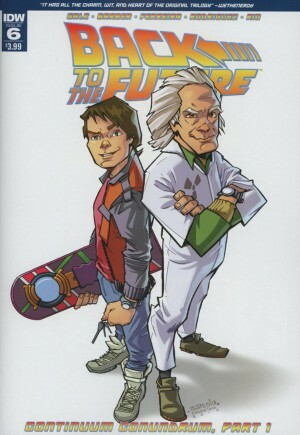 Back to the Future is moving…well, into the future! 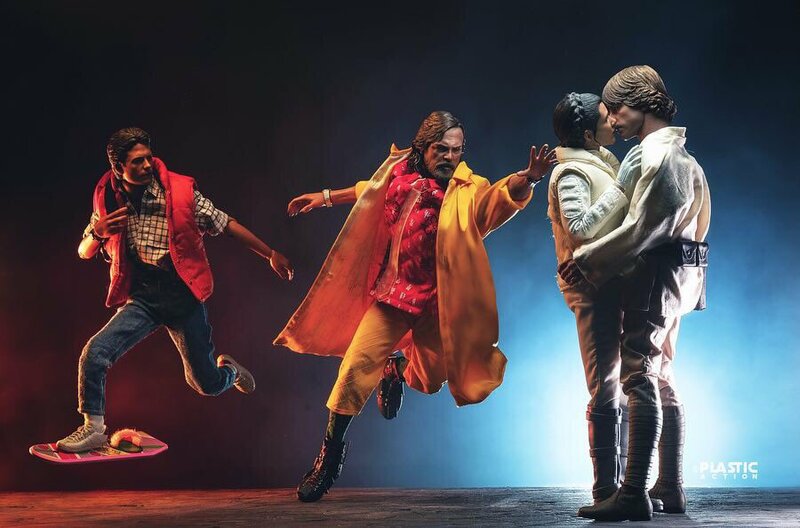 Several months after his last time-travel adventure with Doc Brown (it’s unclear whether the Telltale game is in canon), Marty McFly finds ordinary life to be rather boring. Even his girlfriend Jennifer, who travelled to the future with him, is losing her patience. But once again, a note from the past changes everything. Only this time, it’s not from Doc. It’s from his wife Clara. Once again, Marty’s old friend is in trouble. But how does can he come to the rescue without a time machine? 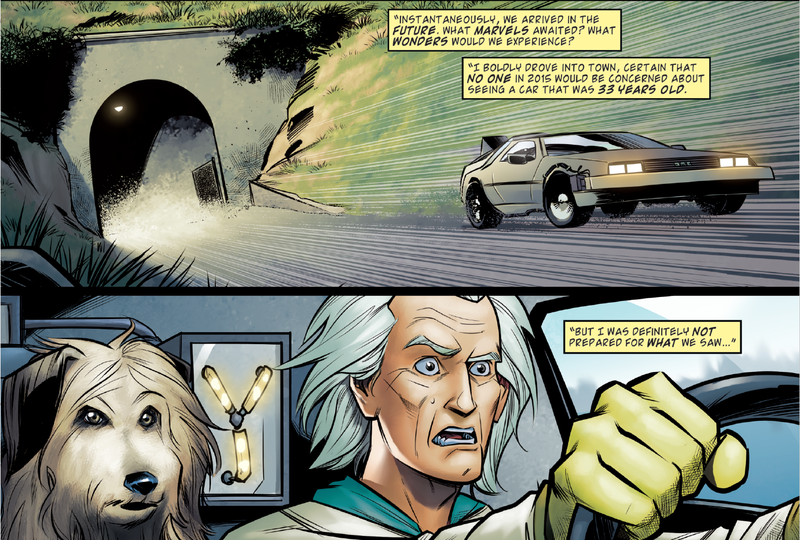 Late in the issue, we find out Doc Brown had…wait for it…more than one laboratory! And it just happens to have another DeLorean in it (minus the Flux Capacitor)! Far fetched? Maybe. But maybe not. 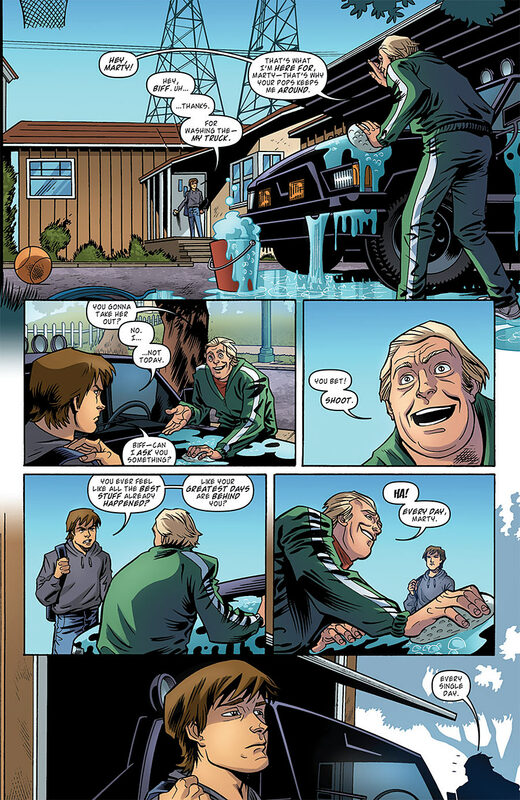 From previous issues, we know Doc has worked for the government, and has reason to keep secrets. And it looks like this other lab is essentially a glorified storage space. Marty and Jennifer even say there’s nothing of use to them there. On the subject of Jennifer, my only major critique with this issue’s art has to do with, of all things, her hair. 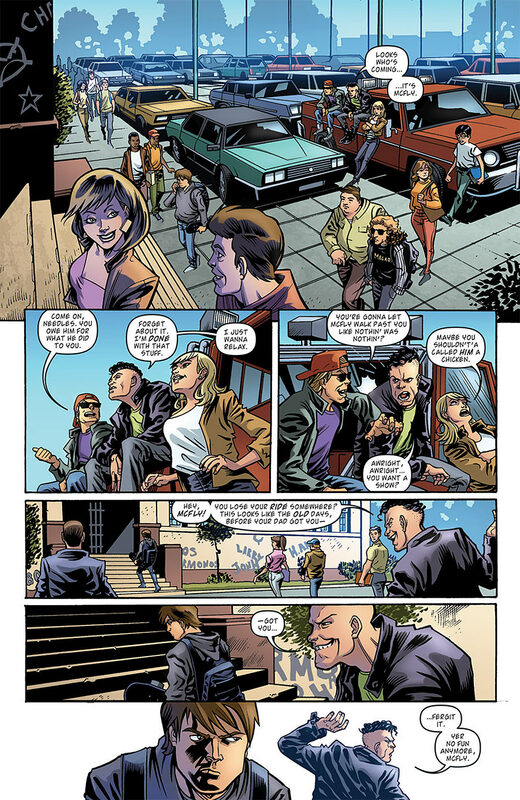 Early in the issue, it appears to be a light brown. As we get further into the issue, she becomes a blonde. What’s the deal? That being said, Marcelo Ferreira’s animated style definitely fits this world. Dependent Marty isn’t much fun to look at. But loud, exclaiming Marty definitely feels like what Michael J. Fox did on screen. Once we get into the more dynamic stuff I think this series will be a lot of fun visually. Get it? Give it time. HA! 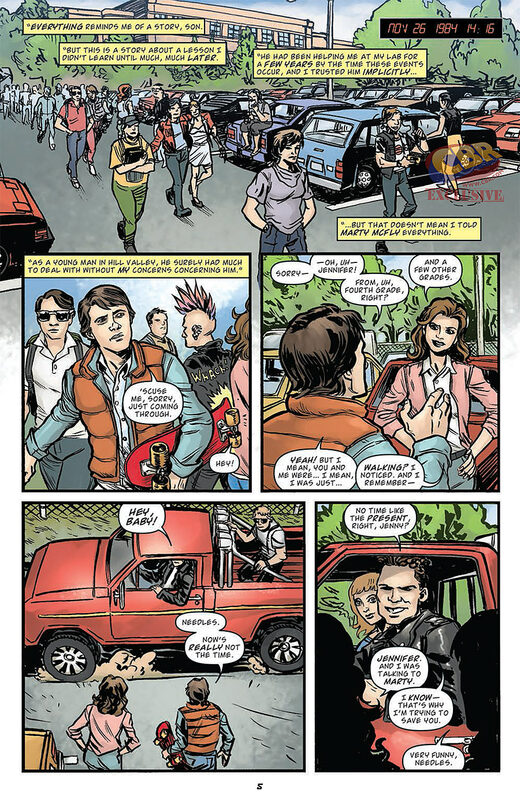 This entry was posted in Comic Books/Graphic Novels and tagged Back to the Future, Back to the Future #6 (2016), Back to the Future (IDW), Biff Tannen, Bob Gale, comic book reviews, comic books, Doctor Emmett Brown, IDW Publishing, John Barber, Marcelo Ferreira, Marty McFly, Rob Siebert, single issue reviews on 04/03/2016 by primaryignition.